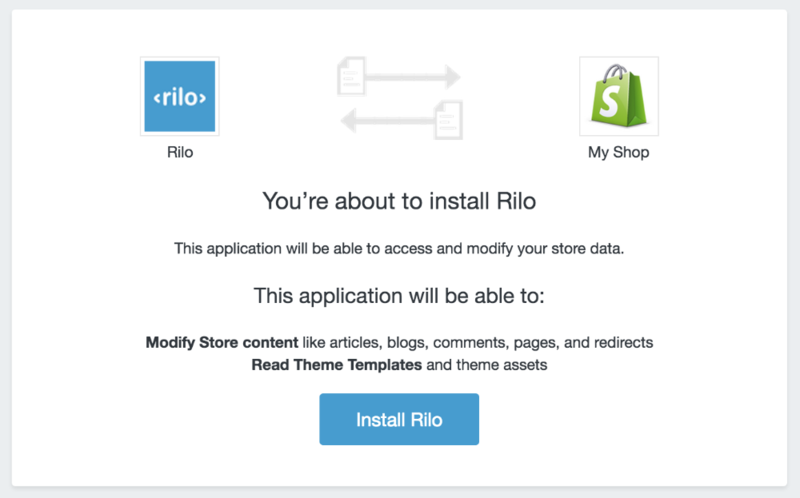 Rilo’s page on the Shopify App Store and click on the green ‘Get’ button. You will be redirected to your Store’s Dashboard. Sign up to your Store if prompted. When asked to install Rilo, click on the ‘Install Rilo’ button.You are all set! You are all set! 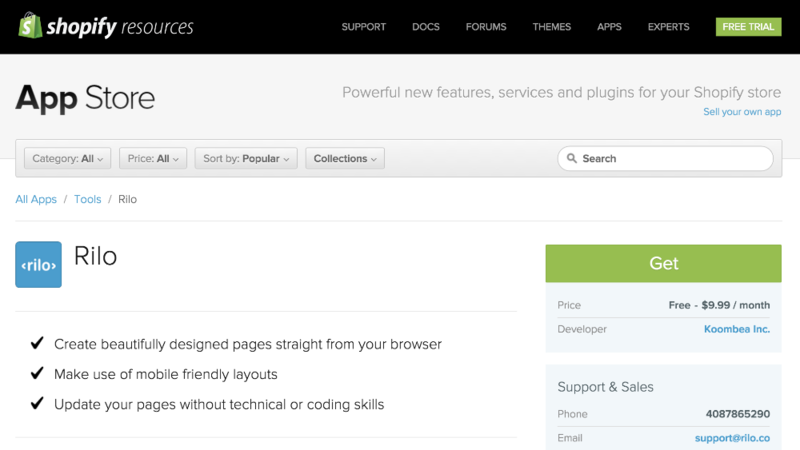 Start creating your pages now!